A jury in San Francisco on Thursday acquitted an undocumented Mexican immigrant of the murder of Kate Steinle, a case that had galvanized anti-immigration sentiment. The case was frequently cited by then presidential candidate Donald Trump as a reason for building a massive wall along the U.S. border with Mexico, and he mentioned Steinle in his acceptance speech at the Republican National Convention in 2016. Jose Ines Garcia Zarate, 45, was acquitted of murder and several lesser charges, but convicted of being a felon in possession of a firearm, which could bring a three-year sentence. 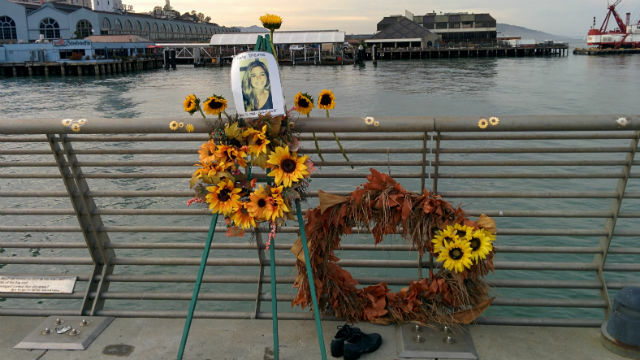 Prosecutors had argued he intentionally shot Steinle, 32, with a handgun as she and her father walked on San Francisco’s Pier 14 in 2015. But Garcia Zarate’s defense attorney said the shooting was accidental and the bullet ricocheted off the ground before hitting Steinle. Garcia Zarate had been deported from the United States five times prior to Steinle’s death, but was still in the country at the time of the shooting because of San Francisco’s sanctuary city policy. The Trump administration and many conservative commentators quickly expressed outrage at the verdict. “A disgraceful verdict in the Kate Steinle case! No wonder the people of our Country are so angry with Illegal Immigration,” the President tweeted at 7:30 p.m.
“San Francisco’s decision to protect criminal aliens led to the preventable and heartbreaking death of Kate Steinle,” Atty. Gen. Jeff Sessions said in a statement. But Matt Gonzalez, the defense attorney in the case, defended the outcome in San Francisco’s superior court. “This jury’s verdict should be respected. They heard the evidence. They deliberated as a group. They heard readback testimony. They looked at the physical evidence. And they rendered a verdict to the best of their abilities and in accordance with the law,” he said. The jury had deliberated for 24 hours over six days before reaching a verdict.